This was a peculiar dog that absolutely refused to enter the kitchen in this farmhouse in Viñales/Cuba. The other dog of the house was on the other hand constantly running in and out of the same room. So he had his window where he looked in every now and then with that kind of hungry look on his face! 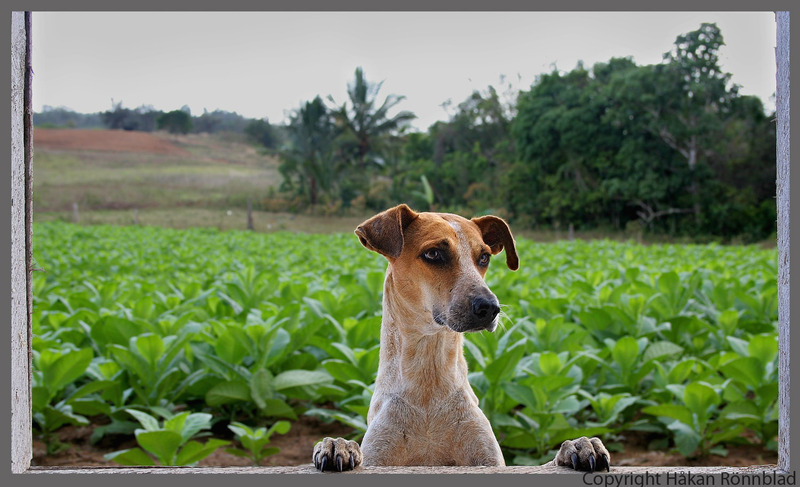 In the background you see tobacco plants, very common in this region of Cuba. This entry was posted in Animals, Cuba, photography and tagged animals, Cuba, dinner, dog, dogs, hungry, Kuba bilder, Pinar del Rio, plants, portraits, tobacco, Tobacco farmer, tobacco plants, travel, Viñales. Bookmark the permalink.